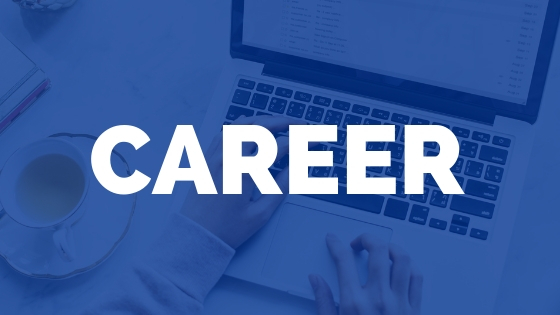 In order to become a physical therapist, you need to graduate from a CAPTE-accredited program and pass the NPTE to become a board certified and licensed physical therapist. The average DPT program takes about 3 years to complete. Of course before you can be admitted into a DPT program you need to complete an undergraduate degree. In fact, you can have any major in college and as long as you finish the right prereqs for PT school, you can apply through PTCAS. PTCAS is the central application system for physical therapy schools. There’s a unique way to speed up the time it takes to become a physical therapist. Some programs offer what’s called a Freshman Entry Doctor of Physical Therapy degree. If you are in high school (or still need to obtain your bachelor’s degree), you might consider a 6-year Freshman Entry DPT program. If you are admitted into this type of program, you will earn a bachelor’s degree as well as a DPT degree in a total of about 6 years as long as you maintain a minimum GPA set by the program. All in all, this can save you about a year, since the typical undergrad is 4 years plus 3 years for the DPT. For students who are serious about physical therapy and know this is the career they want, it’s definitely something to consider. If you decide that PT isn’t the career for you, you can complete the undergraduate portion of the program without finishing the DPT. Let’s say you decide to complete your undergraduate first and then apply to a DPT program. If you apply to PT programs in your senior year, you can start the DPT program as soon as you graduate. Traditional DPT programs can range from 30-36 months. So in addition to the 4 years you spend completing an undergraduate degree, you’ll also spend about 3 years at a DPT program, totaling 7 years of college education to become a physical therapist. Yes, the process to become a physical therapist is long, but worth it. If you are a nontraditional student who is thinking about a career change, but wonder if you’re too old to go to physical therapy school, ask yourself this question: How old will you be in 3 years if you decided NOT to go back to school? There’s a 100% chance that you’ll be the same age if you decided to go back to school. The point is that if you want to help people move better and enjoy your job as a physical therapist, you have to put the time in. Don’t let your age or the time to complete school keep you from pursuing your dream. 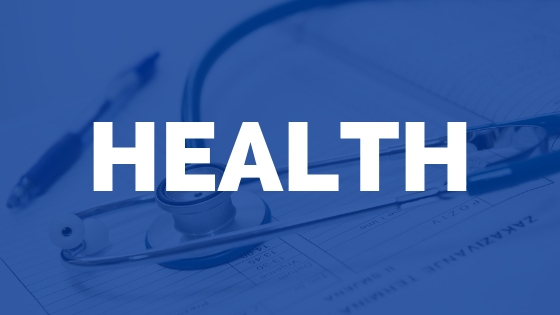 Are You Applying to Physical Therapy School? 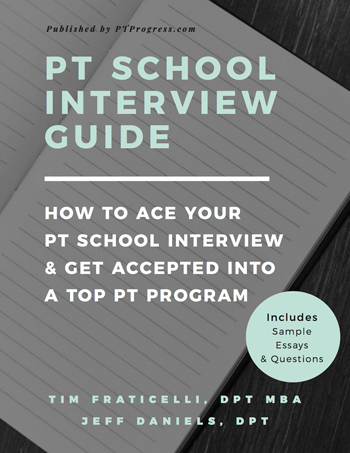 Check out our Physical Therapy School Interview Guide. One of the requirements for maintaining your license as a PT is to participate in continuing education. In every state, your PT license lasts for 1 to 2 years before you are required to renew it. When the renewal period arrives, you’ll need to document the continued education courses you’ve taken over the past 12 to 24 month depending on the state you’re in. 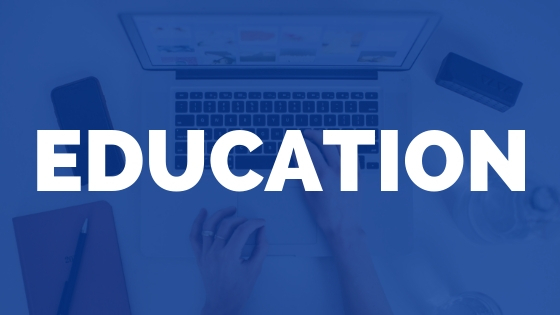 One of the ways you can maximize your continuing education budget is by taking CEU courses online. We’ve partnered with MedBridge, one of the largest providers of online therapy education. 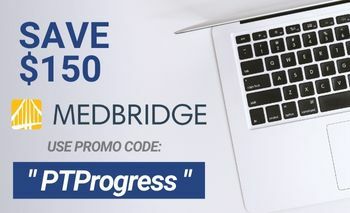 You can use the MedBridge promo code “PTProgress” to save over 40% on their entire education library. I’m an untraditional student returning to school and this is my goal to be a licensed physical therapist. I didn’t know about this program but I will be looking into university who have this program. Thanks for the information. This is the most traditional route; however, it usually takes people >7 years to complete the DPT due to numerous prerequisites required to get into a DPT program. My undergraduate degree was in Exercise Physiology, but I had to do a full year of prerequisites in order to even be eligible for the program. In addition, it took 2 years of applying in order to get into a program (even with a 3.9 undergraduate GPA and 500+ hours of observation and 400+ hours volunteering). Took me a total of 9.5 years total and I was even the valedictorian of my DPT class. whered you do your undergrad? so I have done a Bsc in physiotherapy in Nigeria, but I want to do DPT, how long will that take? If I am 19 and half years old and I am want to take the Physiology. Can you please advise me either I take or not? of course take it! for 1 it’s interesting and 2 required! I was thinking of becoming a music therapist at some point but was informed you’d make more money going to school for physical therapy and then specializing in music therapy how would you go about doing that. A music therapist does not need to be a Physical Therapist. I don’t think you would make any additional money being a music therapist if you had a PT degree. My advice would be to shadow a PT and see if you enjoy that career. Then find a music therapist to follow as well. Absolutely! I have a few friends who completed an undergrad degree in athletic training and enrolled in PT school afterwards. I suffered a stoke.So I’m just ready to be done with school and have a career…. I don’t think it’s ever too late to change careers into something you would enjoy. You should consider the cost involved because PT school isn’t cheap! This may take you 2 years just to complete the pre-reqs if you’re working full time. PT school is another 3 years, and it’s full time. In all, it may take you 5 years and $100K of tuition to become a PT. 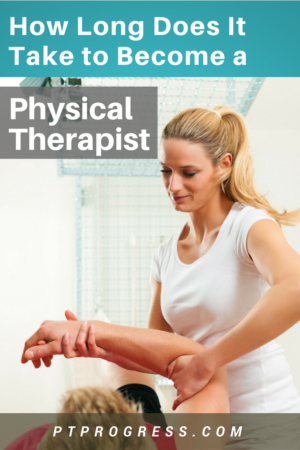 If you are interested in working in the field of Physical Therapy but time/money are a factor, I’d consider becoming a PTA – Physical Therapist Assistant. You still treat patients individually, but the PT must do the evaluation before you can perform the follow up treatments. Plus, PTA programs are 2 year associate degrees – a cheaper investment of time and money. This sounds like a great career, but i am 28years old and have 3 kids 6,4and 6months. I feel like Im probably way too old to even start this. Hello, I wanted to ask if doing IT gives me more money or becoming a physical therapist will, in the US? Also, how much will it approximately cost in total to become a physical therapist? How much did it cost you overall to become a PT? Well over $150,000 including undergraduate and graduate degree. It’s very expensive and the decision to go into this much debt should be carefully considered. I’m a rising junior majoring in Community Health. My major allows me to be on pre-PT track. I’m considering taking A&P 1 and 2 over again because I didn’t do as well as a I wanted to in those classes. I passed the classes and I got the credit for them, I just wanted to get an opinion on whether I should retake A&P 1 and A&P 2? So I’m about to start my freshman year of college and I was wondering how long it would take me to be a PT? What I’m confused about is that I would have to receive my bachelors in some health degree and the take a DPT program. However, you said it can take up to two years to finish the pre reqs to be qualified to enter a DPT program. Is there any way I could finish those pre reqs while getting my bachelors? I gradulated High School two years ago and I just decided I wanted to become a physical therapy but I don’t know where to begin and don’t know if it’s better to go to a community college then transfer to a university or take a program? Bukola If I am not mistaken, that’s Doctorate in Physical Therapy (DPT). 7years is the Maximum you can go that’s the highest or 2yrs associate (PTA) Physical Therapy Assistance. Those wishing to pursue the DPT as a career need to think long and hard about and ask current entry level DPT graduates lots of questions and get their feedback. From start to finish osball goes smooth and you know your path to DPT from freshman year it can be 7 years total (4 years undergrad; 3 years DPT). But please note that the years years is likely 4 years condensed into 3. My DPT program has us going year old for 3 semesters per year (summer season included). We were merged with the medical school for years 1 and 2 taking their basic medical schools Gross Anatomy and Neuro Anatomy whole also taking our own DPT curriculum. Needless to say it was intense. My DPT education was amazing and profound. Unfortunately the overal legislation has not caught up with the education. The DPT is now a mandate since 2016 I believe evens though most PT programs updated to the DPT more than 15 years ago. We continue to be oppressed and suppressed by medical doctors and chiropractors mainly. Establish its own relationship with insurance carriers. Politics and greed prevents this really. Even the states that have unrestricted access for PTs still struggle with insurance carriers paying for their services without the medical doctor essentially Granting permission for the DPT to see the patient. So professional frustration will soon set it after graduation. Then we have return on investment. Insurance cattier swill not pay per the value the DPT provides. Employers certainly won’t pay for the value. Sure they have to work with the reimbursement amounts and set a pay scale based on the amount. If the DPT grad owes more than $100k …it will be difficult to not feel trapped under a rock of debt making $60k annual salary (per the average PT salary)…even making $85k or more can bud limiting. Doctor new grads are at about $180k annual and they can easily owe $100k or more but have more room to manage that debt. Out PT profession’s is trying to evolve but it is taking awhile and there is push back from the industry. In 50 years the profession should achieve the desired status but that doesn’t help those of us struggling now. I need a bit of help because I actually have a lot going on. I received my LMT (Licensed Massage Therapist) and I also have a bachelors in administrative business. I’m getting jobs for my massage license, just not the pay that I need because I’m looking for more of a clinical setting and it seems like they don’t pay that great. I’m looking at PT because this seems like more the route I would like to go with my career in helping people. I saw that you said that you can have any undergrad major as long as you have the prereqs and im just not sure if any of my classes would qualify me for that, so im guessing that i would need to go to the administrator to see if i even cover the prereqs but would my LMT be able to be used here as well? Does that count for anything?